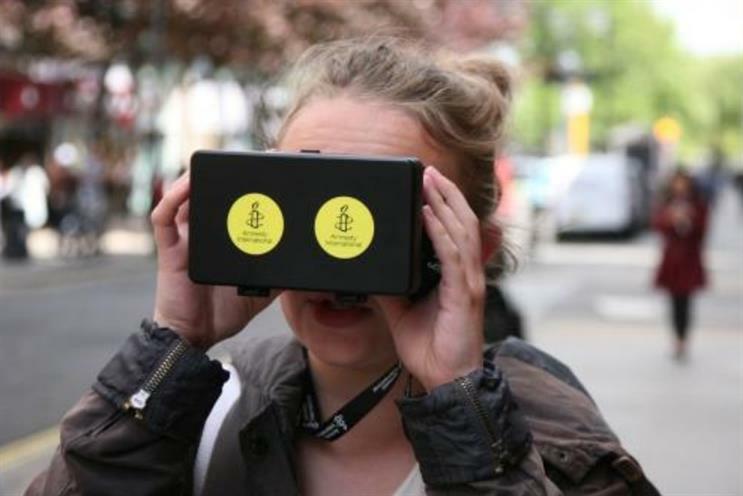 Amnesty International has used virtual reality headsets to bring home the horror of warfare in Syria, using the technology to boost donations. The charity has furnished its street fundraisers in London with virtual reality headsets costing less than £15. These contain second-hand smartphones displaying still photographs showing the devastated streets of Aleppo, the largest city in Syria. While this isn’t pure virtual reality, the charity will introduce multimedia elements like text, audio and 360-degree film. It will also extend the trial to Manchester and Leeds after seeing a 16% increase in direct debit sign-ups. Reuben Steains, Amnesty International UK innovations manager, said: "We always thought seeing these immensely affecting images would have a genuinely transformative effect on the person on the street, but the early results have surpassed our expectations. "We’ve had a really strong response. In a couple of cases people have been in tears and others have expressed shock and outrage at what they’re seeing in the viewers." The charity is hoping to raise funds to equip journalists and citizen activists in Syria, as well as aid victims. It is also hoping to raise awareness of the impact of barrel bombing, explosives comprising oil barrels, fuel tanks or gas cylinders packed with explosives, fuel and metal fragments. The devices have killed more than 11,000 Syrians since 2012, according to the charity.